A $500.00 Damage Deposit (VISA/MC only) is required at the time of rental. 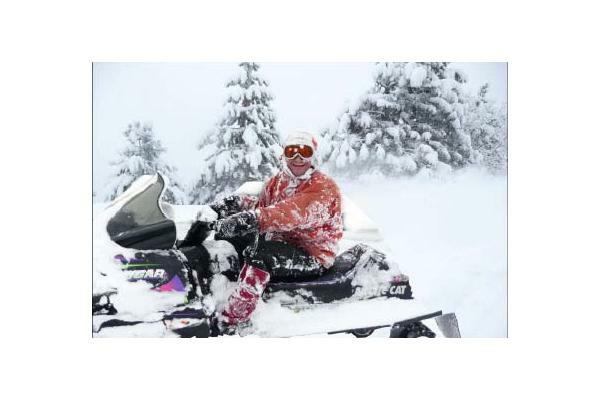 All Snowmobiles leave with fuel, oil helmets and maps. Customer is fully responsible for all damages and is required to sign liability forms and release agreement at time of rental. Minor Release forms must be signed for all minors by a parent or guardian. No children under 6 years of age. All Riders are required to wear helmets. Helmets will be provided at time of rental. Sleds will be rented to adults 21 years or older. Driver's license is required. We ride rain, snow or shine. No weather related refunds will be given. Make sure you bring warm clothing, gloves, and boots. Guides are available and recommended, price is determined on a per trip basis. Delivery available for select areas and two day rentals only. If you need Delivery please make arrangements for sled delivery when you make your reservation.